A civil society group, African Community Impact and Development Network, Afri-CID, has urged the European Union, EU, to investigate the activities of France and some Francophone African nations in relation to the Boko Haram menace operating around the Lake Chad Basin. The group wondered that despite several measures to terminate the dreaded insurgents, they are still very much in operation around the borders from where they plot soft target attacks. In a letter directed to the Head of Delegation, Europe House, Afri-CID claims the activities of France has pretty much heightened the crisis. 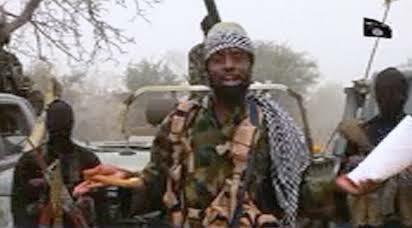 According to the letter, the insurgency tends to escalate whenever the European giants summons a Boko Haram summit. They further questioned how come French troops stationed in these francophone countries have continued to turn blind eyes to the Islamic group operating and planning soft target attacks from their territories. The letter adds that popular French news agency, Agence France-Presse, (AFP) is now in the habit of writing and distributing contents for the terrorists before being syndicated by other news mediums. “The disastrous effects of armed conflict and violence in the Lake Chad basin have had a serious impact in an area already plagued by poverty and the extreme effects of climate change.” Christos Stylianides. 1. It is on this note that we wish to bring to the notice of the Delegation of the European Union to Nigeria and ECOWAS of the inglorious role of some member states of the European Union (EU) and ECOWAS in further fuelling the Boko Haram Insurgency in North East Nigeria. 2. Since 2016, when the Nigerian Military gained ascendency over Boko Haram Insurgents, there have been scores of renewed attacks by the Boko Haram insurgents against the Nigeria Military with the active collaboration of some EU and ECOWAS countries, especially France, Chad, Niger and Cameroon. 3. We say this due to the avalanche of reports suggesting that France's deepening engagement in West Africa rather than preventing terrorists from coming to this part of the world, they attract them in droves because of the conducive environment that has been provided for them and also, the support it gets from these countries in terms of arms and ammunition supplies. 4. A Chatham House expert, Paul Melly, once stated that France wields a level of influence in sub-Saharan Africa that it cannot command anywhere else in the world. 5. The odd angle to the whole counter-terrorism narrative as propagated by France is suspect. Suspect in the sense that on three occasions, France has called for a Boko Haram summit. The first was in 2014, tagged the Paris Security Summit, where leaders from Nigeria, Niger, Cameroon, Chad, and Benin agree to share their technical know-how with Western allies to defeat Boko Haram. Instead, Boko Haram activities thrived, they acquired more and more sophisticated weapons that are suspected were through intermediaries from some of the neighbouring francophone countries. 6. In 2016, there was another summit, where leaders of Lake Chad countries along with French President Francois Hollande, US Deputy Secretary of State Antony Blinken and British Foreign Secretary Philip Hammond gathered in Abuja to discuss a way of defeating Boko Haram. Nothing tangible was achieved. 7. It is also instructive and raises curiosity as to why French troops stationed in these francophone countries have continued to turn blind eyes while Boko Haram fighters continue to set up camps, train and launch attacks in Nigeria. Some of the terrorists are not just Nigerians; they are not operating from Nigeria; they are operating from Nigerian borders, and they have some back up from neighbouring countries such as Chad, Niger, and Cameroon. 8. That France has not given up, however, is the obsession for the energy potentials in the Sahel and Sahara. It held a security summit to discuss Boko Haram which resulted in the launch of Sahel Force in June 2017. 9. If the Sahel force is of any use, it was to catalyze the near rebirth of a terrorist group that the Nigerian military had decimated to the point of defeat. Multiple credible sources had recounted in the past how they witnessed airdrop of supplies to the terrorists across Nigeria’s borders with francophone neighbours – Cameroon, Chad, and Niger. 10. It is therefore not surprising that Boko Haram fighters that earlier fled into these neighbouring Francophone countries have suddenly reinforced to renew attacks in Nigeria shortly after the French summit. 11. It is also common knowledge that France’s interest is in the destabilization of the region in pursuit of an agenda to create a self-governing enclave that would guarantee it unfettered access to the oil deposits in the Lake Chad Basin and also the prospect of Uranium mining in the region. 12. It is also worth mentioning that stories about Boko Haram attacks are often first reported by Agence France-Presse (AFP) before being syndicated by other news mediums. This is also curious. 13. It is, therefore,so that these state-assisted attacks on Nigeria, has further fuelled the humanitarian crisis in North East Nigeria. And consequently, we call for the timely intervention of the EU in this matter of urgent national and international interest because in the event of a sustained humanitarian crisis in Nigeria, would have effects on the African continent. Dear Ambassador, it is therefore on the strength on the above that we request the intervention of the EU in addressing these countries that have continued to encourage the criminality of Boko Haram insurgents by providing that safe heaven whenever they come under tremendous pressure from the Nigeria Military. They, in turn, use these safe heavens to regroup, re-strategize and launch attacks in Nigeria.